JEAN-MARC Bosman really did create the future of professional football when he challenged the laws around football transfers. It didn’t do him much good, but every major footballer in Europe has been the beneficiary of Bosman’s actions. Neymar may or may not move to Paris St. Germain in the coming weeks, despite signing a five-year contract in October 2016 with Barcelona. 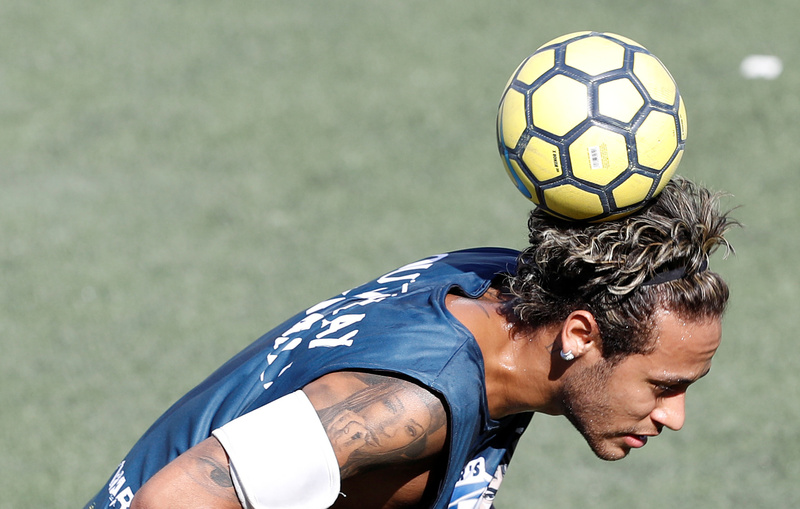 Neymar is idolised in Brazil and is one of the modern game’s hottest commercial properties. For PSG, he would become the sort of figure they have lacked since Zlatan Ibrahimovic left the club a year ago. PSG’s “failure” in 2016-17 may be as much to do with the loss of the charismatic Swede as it was to do with the emergence of an exciting Monaco team. But where is the value in a player’s contract these days? Like any other job, the employee should be entitled to move from time-to-time, but we are not talking about ordinary people. Clubs sell their product based on who they will have in their line-up, the signing of a contract implies commitment. At the least, they should honour those agreements – in fact, both parties should. Neymar, after protracted negotiation, signed a deal worth EUR 15m per year, with a EUR 200m buy-out clause. According to research by the CIES Football Observatory, Neymar is the most valuable player on the planet, with a transfer value of EUR 210m, higher than the likes of Lionel Messi and Cristiano Ronaldo. But the Argentine and the Portuguese stars earn far more than Neymar, who is five years younger than both. Therein lies part of the problem in this tale. Messi has just signed a new deal with Barcelona, reportedly earning EUR 565,000 per week. There’s no coincidence that Neymar should suddenly become the subject of interest just after Messi secures himself to Barca for another four years. What is curious is that PSG got their fingers burned when they were last in discussion with the former Santos striker. Are PSG being used? In all probability. This cat and mouse game between clubs and players is becoming quite transparent and, needless to say, tiresome. We know what they’re up to. It goes something like this. A player’s “people” hints to the interested club that, for the right price, he would be available. Back home in Barcelona, rumours start that the prize asset, unhappy at being in Messi’s shadow for so long and needs a new challenge after winning everything with the Catalans. The agents get to work, agitate and eventually, the club may decide that it’s too much trouble to keep the player and they convince themselves that the price is right for a move. Perversely, in this case, if it all works out, everyone is a winner – PSG acquire their talisman, Barca get EUR 200m on the hip and Neymar rubs his hands at another pay day. The victims? Loyalty and integrity. It must be tough (!) playing alongside Lionel Messi every week. No matter what Neymar does, he can never outgun the Argentinian. Neymar has scored 105 goals in 186 games for Barca, including 20 in 45 in 2016-17. Messi netted 37 in 34 La Liga games and Luis Suarez grabbed 29 in 35. The trio, who notched-up 90 in 2015-16, “only” scored 79 last season. Why would Neymar want to leave a club like Barca to play in Ligue 1 with PSG? If there’s one French club that can compete, it is PSG, but Barca – along with Real Madrid – represent the pinnacle of the game. Brazilians are very much the epitome of “have boots will travel” and there’s a sizeable contingent at the Parc des Princes – Marquinhos, Thiago Silva, Lucas Moura and now Dani Alves are all resident in the 16th arrondissement. He would feel at home. The real attraction for Neymar may be to come out of the shadow of a legend. If Neymar felt that he would soon be shot of Messi, the new contract put paid to that. PSG are desperate to win the UEFA Champions League, he would become the figure head, the man they build their entire team around. At Barca, he is just another multi-millionaire in a red and blue jersey, winning silverware by the bucketload and playing in front of 80,000 people every fortnight. A real chore. We hear, however, that Neymar is “going nowhere”, but there is no smoke without fire, as they say. This story hasn’t come out of thin air. If he stays, he will probably get an enhanced contract out of it. If he goes, he will get an improved contract written by French/Qatari lawyers. But that legal document will have about as much commitment as his current deal drafted by Spanish/Portuguese legal clerks. Neymar cannot lose, but the image of football at the highest level will have been dealt another blow. Next Entry Highly liquid, but are red flags starting to flutter for football?